The PyroManiacs devote some space each weekend to highlights from the lifetime of works from the Prince of Preachers, Charles Haddon Spurgeon. The following excerpt is from We Endeavour, pages 54-56, Pilgrim Publications. "With what gusto some would undertake the task if they had to give in a report upon other people’s characters! How easily each of us can play the detective upon our fellows!" We like thus to reckon up our fellow-creatures, and our arithmetic is wonderfully accurate — at least, so we think; but when other people cast us up according to the same rule, the arithmetic seems terribly out of order, and we cannot believe it to be right. Ah! but at the great judgment we shall not be asked to give an account for others, neither will I ask any of you now to be thinking about the conduct of others. What if others are worse than you are, does that make you the better, or the less guilty? What if others are not all they seem to be, perhaps neither are you; at any rate, their hypocrisy shall not make your pretence to be true. Alas! there are many who seem to live only that they may win the esteem of their fellows. There is somebody to whom we look up; if we do but have that somebody’s smile, we think all is well. Perhaps some here are brokenhearted because that smile has vanished, and they have been misjudged and unjustly condemned. It is a small matter to be judged of man’s judgment; and who is he that judges another man’s servant? To his own master the servant shall stand or fall, and not to this interloping judge. Remember, also, that the account to be rendered will be from every man, personally concerning himself; and whatever another man’s account may be, it will not affect him. It was a maxim of Pythagoras that each of his disciples should, every eventide, give in a record of the actions of the day. I think it is well to do so; for we cannot too often take a retrospect. Sit down a while, pilgrim; sit down a while. Here is the milestone marked with the end of another year; sit down upon it, put thine hand to thy brow and think, and lay thine hand upon thy heart, and search and see what is there. There are no persons who so dislike to look into their account-books as those who are insolvent. Those who keep no books, when they come before the court, are understood to be rogues of the first water; and men who keep no mental memoranda of the past, and bring up no recollections with regard to their sins, having tried to forget them all, may depend upon it that they are deceiving themselves. If you dare not search your hearts, I am afraid there is a reason for that fear, and that above all others you ought to be diligent in this search. The following excerpt was written by Phil back in August 2007. It was the last in a series of posts about the life of Elijah. Phil summarized the lessons we should take away from the account of the widow at Zarepheth. 1. Providence is characterized by many unexpected twists and turns. This reminds us that God's ways are mysterious and beyond human scrutiny—so that all we can know for sure about God's sovereign dealings with us is that His purposes are always righteous. Often He intervenes in our lives in ways that don't instantly appear good to us. Elijah was a prophet, but even he did not see the death of the widow's son coming. When the boy died, Elijah was clearly as shocked and dismayed as anyone about it. Those are the times when we need to remind ourselves that God's thoughts are higher than ours, and His ways are not like ours (Isaiah 55:8). But He is still working all things together for our good. His purposes and His strategies are better than the way we would do things. And He hasn't lost control—even if at the moment our whole world might seem to be in complete disarray. 2. The Lord gives and the Lord takes away—and we should praise Him in either case. This woman had benefited from God's generous provision in the time of drought, but she had no right to interpret that as a guarantee that her life would be free from calamity from then on. God has as much right to afflict us as He does to bless us. And we should glorify Him in either case. God doesn't promise that all His dealings with us will always be pleasant and easy. On the contrary, He assures us that trials and afflictions will be our lot and our portion. But He promises grace to endure, and He commands us to trust that His purpose for us is ultimately good. We must learn to trust in the dark times as well as in the times of good fortune. In any case, it is safe to assume that this boy died at the end of his life, just like everyone in Scripture except Enoch and Elijah. It is appointed unto men to die once (Hebrews 9:27). In this boy's case, he was appointed to die twice. And so the one enduring aspect of this miracle is seen in the faith of the widow. That was the greatest miracle of all—not that the boy was given his life back. (That was merely a temporal blessing.) But that a heart once dead to the things of God could be established in unshakable faith, with a rock-solid pre-modern conviction that the Word of God is absolute truth. Real faith is to be able to trust Him in the midst of the tragedy—before we see the final outcome—and rest in the assurance that He does all things well. The PyroManiacs devote some space each weekend to highlights from the lifetime of works from the Prince of Preachers, Charles Haddon Spurgeon. The following excerpt is from The teachings of nature in the kingdom of grace, pages 234-35, Pilgrim Publications. "There is a great difference between a mustard seed and a piece of wax of the same size. Life slumbers in that seed. What life is we cannot tell." Even if you take a microscope you cannot spy it out. It is a mystery: but it is essential to a seed. The Gospel has a something in it not readily discoverable by the philosophical inquirer, if, indeed, he can perceive it at all. Take a maxim of Socrates or of Plato, and inquire whether a nation or a tribe has ever been transformed by it from barbarism to culture. A maxim of a philosopher may have measurably influenced a man in some right direction; but who has ever heard of a man's whole character being transformed by any observation of Confucius or Socrates? I confess I never have. Human teachings are barren. But within the Gospel, with all its triteness and simplicity, there is; a divine life, and that life makes all the difference. The human can never rival the divine, for it lacks the life-fire. It is better to preach five words of God's Word than five million words of man's wisdom. Men's words may seem to be the wiser and the more attractive, but there is no heavenly life in them. Within God's Word, however simple it may be, there dwells an omnipotence like that of God, from whose lips it came. A seed is a very comprehensive thing. Within the mustard seed what is to be found? Why, there is all in it that ever comes out of it. It must be so. Every branch, and every leaf, and every flower, and every seed that is to be, is, in its essence, all within the seed: it needs to be developed; but it is all there. And so, within the simple Gospel, how much lies concentrated? Look at it! Within that truth lie regeneration, repentance, faith, holiness, zeal, consecration, perfection. Heaven hides itself away within the Gospel. Like a young bird in its nest, glory dwells in grace. We may not at first see all its results, nor, indeed, shall we see them at all, till we sow the seed and it grows; but yet it is all there. 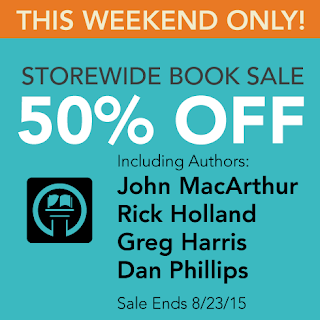 Briefly: Kress Biblical Resources is having quite a sale this weekend — fifty percent off of everything. That includes books by John MacArthur, John Kitchen, Rick Holland, and your servant. If you'll forgive my specific suggestion, folks are finding that God's Wisdom in Proverbs reaches quite an age-range. Might now be a great time to get a copy for your newly-minted high-school senior, college student, or youth leader? Use the coupon code PLXUF10LALPY6. Tell a friend. I just did! The following excerpt was written by Dan back in November 2010. Dan made the case that forgiving one's self of sins is not a Biblical idea. Sin is a word for which we should keep as strictly-defined a definition as possible, straying only under duress. The apostolic definition is lawlessness (1 John 3:4; cf. Romans 5:13). The definition from Piper's Baptist catechism also works: "Sin is transgression of the revealed will of God which teaches that we are to act in perfect holiness from a heart of faith to the glory of God." The Bible is really serious about this. How serious? Well, think of someone who really, really sinned badly against people — sexually used one, had another killed, betrayed the trust of scores and hundreds. Of course, you know I am thinking of King David. And you know right where I'm going, to his head-scratching confession in Psalm 51:4 — "Against you, you only, have I sinned and done what is evil in your sight." On the face of it, this is simply an absurd statement. "You only"? What of Bathsheba? What of his own wife/wives? What of Uriah? Yet David knew the truth that most deeply offends atheists, humanists, everyone who's bought the big lie: sin is only sin because God defines it as sin. Sin is sin because God says it is sin. Spouse betraying spouse, children failing to honor parents, neighbor slandering or robbing neighbor — all these are sins because God says they are sins. Apart from God, there would be no sin. All sin is, in the final analysis, against God; for without God there would be no sin. And so, as I have heard D. A. Carson say well more than once, in all sin, God is the primary offended party. Back to the notion of forgiving yourself. It simply is faddish, man-exalting nonsense to speak of forgiving yourself. In your sin, you aren't the wronged party. If you (or I) really think that it is meaningful to speak of forgiving ourselves for our sins, then I don't think we've got that whole repentance thing straight. It isn't our own forgiveness which we need. It is, of course, God's forgiveness, a forgiveness that cost the Son of God His lifeblood (Ephesians 1:7; Hebrews 9:13-14, 22; 10:4). It is only meaningful to speak of forgiveness of ourselves, then (A) by God, (B) of sin (C) against God, extended to us only (D) because of the shed blood of Christ, through whom alone we can find forgiveness. Secondarily, it is meaningful to speak of horizontal forgiveness of people upon repentance (that is not the focus of this post; but I can recommend a great book on the subject). But we know that God does command us to repent of our wrongs against others, to pursue restitution for those wrongs. We do those things because God calls us to do them. He defines my sin against my brother, He calls me to repent and pursue restitution and reconciliation (and commands me to forgive those who repent of sins against me). It's still all about God, and it's a subject of direct Biblical teaching. Forgiving myself, however? Never. Biblically meaningless at best. The PyroManiacs devote some space each weekend to highlights from the lifetime of works from the Prince of Preachers, Charles Haddon Spurgeon. The following excerpt is from The Metropolitan Tabernacle Pulpit, volume 48, sermon number 2,792, "A Psalmist's question and answer." "When you have lived nearest to God, it is then that you have mourned most your distance from Him." There is a dear brother,—not present now, or else I might not tell the story,—an earnest and useful member of this church. Many years ago, I recollect his writing to tell me of his conversion. He was then a butler in a noble family, and I rejoiced with him over his conversion. Some months after, he came and brought me two guineas as an offering to God; and, as he laid them on my vestry table, he said, “This is how I came by them. I am employed as butler to Lady So-and-so. When I became a Christian, I cleaned my plate so much better than I had ever done before, that her Ladyship took notice of what I did; and, on one occasion, when she had company, she brought a number of distinguished individuals into the butler’s pantry to see how beautiful her plate looked. So, dear friends, you see that you can glorify Jesus Christ in cleaning plate, or digging in a garden, or selling potatoes, or anything else that is right, so long as you do it unto him and to his praise; doing the best you can because you feel that a Christian man ought never to do anything badly. The following excerpt was written by Frank back in June 2006. Frank offered his thoughts on the "shepherd" metaphor and its relevance in 21st-century America. So, for example, is there a 21st-century American equivalent to the shepherd about which we could say, “Look: most of you have never seen a shepherd, so rather than try to unpack what a shepherd does, let’s think about [Profession X] which is just like being a shepherd”? My opinion is that there is no equivalent, and we have to unpack the metaphor Scripture has for us. But we took away the challenge to think about the matter and report back. 2. The biggest separation, however, between the Good Shepherd metaphor and the CEO is that the shepherd lives with his sheep in every way. That is, the shepherd has to get dirty and do distasteful and even degrading things to make sure he takes proper care of his sheep. I don’t know a lot of CEOs who are ready to degrade themselves, for example, by working in the same conditions as the hourly single parent who has to work on the line. “But cent,” you might say, “the CEO does a pretty radically different kind of work than the hourly employee,” and I’d agree with you. Christ does a pretty radically different work than I do, but you know something: though he was in the form of God, he did not count equality with God a thing to be grasped, but made himself nothing, taking the form of a servant, being born in the likeness of men. And being found in human form, he humbled himself by becoming obedient to the point of death, even death on a cross. The PyroManiacs devote some space each weekend to highlights from the lifetime of works from the Prince of Preachers, Charles Haddon Spurgeon. The following excerpt is from The Metropolitan Tabernacle Pulpit, volume 16, sermon number 941, "The tender pity of the Lord." "If you cannot bear with your imperfect brother, take it for certain that you are very imperfect yourself." It ought to help us when we remember that we were converted through imperfect preachers. I am sure if any of you have been converted through my ministry, you have been converted through a very imperfect one. While I deeply regret my imperfections, yet in one sense I glory in my infirmities, because the power of God doth rest upon me. For what are we! we cannot turn any to righteousness—the Lord alone can do that, but if by imperfect instruments you are blessed to the saving of your souls, you ought never again to be out of patience with imperfect people. Remember also that you are imperfect yourself. You can see great faults in others; but, my dear brother, be sure to look in the looking glass every morning and you will see quite as many faults, or else your eyes are weak. If that looking glass were to show you your own heart you would never dare look again, I fear you would even break the glass. Being so imperfect we ought not to condemn. Remember also that if we are not patient and forbearing there is clear proof that we are more imperfect than we thought we were. Those who grow in grace grow in forbearance. He is but a mere babe in grace who is evermore saying, “I cannot put up with such conduct from my brother.” My dear brother, you are bound even to wash the disciples’ feet. If you know yourself, and were like your Master, you would have the charity which hopeth all things and endureth all things. Remember that your brethren and sisters in Christ, with whom you find so much fault, are God’s elect for all that, and if he chose them, why do you reject them? They are bought with Christ’s blood, and if he thought them worth so much, why do you think so little of them? Recollect, too, that with all their badness there are some good points in them in which they excel you. They do not know so much, but perhaps they act better. It may be that they are more faulty in pride, but perhaps they excel you in generosity; or if perhaps one man is a little quick in temper, yet he is more zealous than you. Look at the bright side of your brother, and the black side of yourself, instead of reversing the order as many do. Remember there are points about every Christian from which you may learn a lesson. Look to their excellences, and imitate them. Think, too, that small as the faith of some of your brethren is, it will grow, and you do not know what it will grow to. Though they be now so sadly imperfect, yet if they are the Lord’s people, think of what they will be one day. O brethren and sisters, shall we know them? shall we know ourselves when we once get to heaven, and are made like our Lord? There, my brother, though you are a quarrelsome man, I will not quarrel with you; I am going to live in heaven with you, and I will keep out of your way till then. I will not find fault with you, my friend, if I can help it, because you will be one day without fault before the throne of God. If God will so soon remove your faults, why should I take note of them? I will not peevishly complain of the rough stone, for I see it is under the Great Artist’s chisel, and I will tarry till I see the beauty which he brings out of it. The following excerpt was written by Phil back in April 2008. This post was part of a series in which Phil offered his thoughts on "missional living" and "contextualization." Read (and believe) enough of the trendy books and blogs that talk about missional living, and you'll get the distinct impression that fitting into this world's cultures is vastly more important—and a much more effective evangelistic strategy—than knowing the gospel message and communicating it with boldness, precision, and clarity. What might Paul have thought of the missional fads of post-evangelicalism? Lots of people will argue that Paul is the very model of a postmodern ministry strategist, and that Acts 17 is the classic narrative passage where we see his genius for cultural assimilation in all its perfect splendor. Really? Let's see how that chapter actually unfolds. At the start of it (Acts 17:1-9), Paul's ministry in Thessalonica so offends the Jewish populace that their leaders deliberately stir up civil unrest. As a result, the apostle can no longer minister publicly in Thessalonica without the threat of a riot. So he goes to Berea under cover of night (v. 10). However, Luke says, "when the Jews from Thessalonica learned that the Word of God was preached by Paul at Berea, they came there also and stirred up the crowds. Then immediately the brethren sent Paul away, to go to the sea; but both Silas and Timothy remained there" (v. 13). So Paul's missionary team spirited him away into hiding yet again. He was clearly not winning general admiration and grass-roots popularity in the cultures where he was taking the gospel. People kept trying to kill him. Paul couldn't go back to Thessalonica or Berea now, because his enemies in those cities were determined to disrupt any ministry he did. So "those who conducted Paul brought him to Athens; and receiving a command for Silas and Timothy to come to him with all speed, they departed" (v. 15). Now, here's the scenario: Paul is cut off from his missionary team and sent to Athens for his own safety. From Berea and Thessalonica to Athens is about four days' travel by land and two or three days by sea (depending on the wind and the tides). So when Paul sends word back to Timothy and Silas to join him in Athens, he probably has about a two-week wait before they can join him there, and he spends that time alone in Athens, investigating the city and its culture. But he simultaneously launches his public ministry in Athens both at the synagogue there, and in the public square. Now while Paul waited for them at Athens, his spirit was provoked within him when he saw that the city was given over to idols. Therefore he reasoned in the synagogue with the Jews and with the Gentile worshipers, and in the marketplace daily with those who happened to be there. Then certain Epicurean and Stoic philosophers encountered him. And some said, "What does this babbler want to say?" Others said, "He seems to be a proclaimer of foreign gods," because he preached to them Jesus and the resurrection (vv. 16-18). What's crucial to notice here, first of all, is Paul's relationship to the culture. He doesn't try to assimilate. He doesn't embrace the culture and look for ways to shape the gospel to suit it. He is repulsed by it. So he immediately began confronting the idolatry by proclaiming Christ. Notice: when Luke says in verse 17 that "he reasoned" with people in these public places, he's not suggesting that Paul had cream tea and quiet conversation with them. It means he stood somewhere where people couldn't possibly miss him and began to preach and proclaim like a herald, and then he interacted with hecklers and critics and honest inquirers alike. In other words, he confronted their false beliefs; he did not try to accommodate them. Paul was deliberately and intentionally counter-cultural. He didn't say, Oh, these people think the idea of bodily resurrection is foolish; I'd better soft-sell that part of the message. He did exactly the opposite. He studied the culture with an eye to confronting people with the very truths they were most prone to reject. It's hard to imagine any way he could have been more counter-cultural. The vast majority of you have never heard of me, and for that all of us should be really happy. You don't want someone like me to be famous, and I don't want someone like me to be famous. But I'm worried about us, and I wanted to tell you why, and see if there is anything you think we might be able to do about it. Some people would be worried that we have fights among ourselves, but in my view a free society is healthy if real disagreements can be voiced and engaged, and then people can honestly decide for themselves what it is they ought to think about things. So for example, I think people ought to talk about racial animosity and any appearance of actual racism, and they ought to come to some kind of honest conclusion about what they find out. I think people ought to talk about gun ownership, and the presence of guns in a society, and after they have talked about it, they should come to some kind of honest conclusion about the extent to which guns have a place in a society. I think most importantly religion should be a topic of conversation, and people should come to an honest conclusion about the maker and sustainer of all things. And when we have come to any such conclusion, if new facts or a new point of view presents itself, we ought to let it stand or fall based on what we already know -- it ought to be able to change our minds if it has that kind of weight, and it ought to be worked through if it does not. Honest disagreement is healthy, and I think we ought to sort of welcome it. In most businesses that make things these days, there is plenty of healthy disagreement (the current buzzword for it is "continuous improvement"), and the outcome is most often that things get made faster, or cheaper, or better, or all of the above. But that's the rub, isn't it? "Honest" disagreement. One of the things I think we lack as a society is the ability to honestly disagree. Before I explain "why," I think I owe you some kind of explanation of "what" I am talking about. "Honesty," according to m-w.com, is "fairness and straightforwardness of conduct; adherence to the facts." In spite of living in a world where we can measure everything to 3 decimal places, and the content of collected human knowledge in print doubles every year (according to Forbes in 2013), one of the things which has seemed to vanish in public conversation is a reliance on facts rather than opinions or misinformation. Climate Change is one of those things. One side is adamant that in the 4-6 billion years of geologic time, no other circumstances have created warmer temperatures than we have today; the other side finds itself stunned by the several leaps it takes to come to that conclusion, and when they ask some rudimentary question they get accused of being enemies of the planet. What we wind up with is assertions vs. assertions, and neither side is willing to admit the other side's assertions have merit. It's not so much a conversation or even "science" in the historical sense, but rather a contentious fight which has no hope to be resolved. "Honesty" in that case would admit that both sides still have homework to do, and that the best answer will be reached when both sides have agreed to some basic premises about things like how climate is established, and whether or not its possible to say that the Earth can meaningfully have an average surface temperature when it runs from the extremes of −128.6 °F (1983, Antarctica) and +134 °F (1913, Death Valley). "Honesty" means that we don't get married to solutions until we understand the problems, which is what is really happening in the world insofar as we can discern it. It also means we don't think too much of our own observations because let's face it: even the most jaded among us have not seen everything. Which brings me to the reason I wanted to talk about honest disagreement: the practice of transferring fetal tissue to third parties by Planned Parenthood, as it has been presented by the Center for Medical Progress in its recent videos. One of the complaints about these videos has been that they are "highly edited;" another is that if we looked at any secret video of surgical procedures they would be equally gross; another is that whatever this is they have recorded and reported, this is perfectly legal under 42 U.S.C. (2010), Title 42, CHAPTER 6A, SUBCHAPTER II, Part H, Sec. 274e, so what is all the fuss about, really? Working in reverse order, I think the last complaint is the one which is the least-tenable. The existence of every law on the books today, if we are to believe the recent rulings by the Supreme Court, is not a static fact. Indeed, the question of the day seems to be, "ought that really to be legal? or illegal?" If the very definition of marriage -- which has been uncontested in the history of Western Civilization -- is subject to review and subject to change because we discover a moral patch cut from material never before dreamed of by men over the way it works today, then let me suggest to you that every law is, at least, subject to change. Let me put it to you that if 42 U.S.C. (2010), Title 42, CHAPTER 6A, SUBCHAPTER II, Part H, Sec. 274e is the law today (and it is), that doesn't settle the question of whether or not it is actually what the law ought to be. Even if what we have seen in the videos so far (at this writing, 5 have been released) is entirely legal today, after seeing the practical outworking of that law are we really not entitled to ask the question, "is that really what we meant when we codified this?" The question is a legitimate question. If this is legal, should it be? If other questions arise after that -- like, "if we make this illegal, how do we ensure that Planned Parenthood can continue to save women's lives, since they say they do that every day?" -- let's look for an answer which corrects the fault of the law and does not create a consequence which puts the sick and the downtrodden at risk. I'll bet that people smart enough to conduct experiments on fetal tissue which create measurable medical results that will actually save lives are smart enough to come up with a business plan that can preserve Planned Parenthood from bankruptcy without these transfers. Because that is what is at stake here, yes? It is patently barbaric to sell the parts of dead people, and more so to be selling the parts of babies who were killed, by and large, because other birth control methods failed. If @PPFA is not making any money on these transactions, they ought to be able to survive without them. Let's agree that the main question really isn't whether @PPFA is breaking 42 U.S.C. (2010), Title 42, CHAPTER 6A, SUBCHAPTER II, Part H, Sec. 274e, but whether or not the entire idea of this sort of transaction isn't a close cousin to cannibalism and chattel slavery. In thinking through this question, it has already been presented by some advocates (most notably: USAToday and the New York Times) that the problem here is really that someone who is not a doctor who watches these videos is simply grossed out by the skin and blood, and also by the sort of "shop talk" employed when discussing these things by those who do them. The reply goes something like this: if you listened to a heart surgeon talk about angioplasty or a brain surgeon talk about minimally invasive endonasal endoscopic surgery and then watched a video of them doing it, it would also probably gross you out. That doesn't make what they are doing immoral in any way. There's something rather stoic and self-denigrating in that answer, right? It sounds like the person is saying, "of course I was grossed out by that video. I would be grossed out to watch a video of child birth also, but I'm not trying to make that illegal." The contrast, of course, is that when child birth occurs, we are left with a baby who is a person and has a voice. We are left with someone who is all need and no means, and (in most cases) needs all the love her parents can muster. With what we have seen in these videos -- and I'm going to refrain from describing these things to seek to give the other side the optimal benefit of the doubt -- it is literally the opposite of child birth, and the opposite of motherly and fatherly love. The problem turns out to be that the only voice these boys and girls and twins have is not a parent's voice, but one which is clearly trying to get a good price for what is left since there is no crying. I think the people presenting the "moral gross out" argument understand what they are feeling when they watch these videos. I think they simply do not understand why they are feeling it. It is as if they cannot imagine that what they have witnessed in these videos can happen in the real world, and that what must have really happened had to be something far more clinical, and sterile, and therapeutic. Doctors are not monsters, after all, and who would, in their right mind, want to replicate the mistakes of those in the past we know for sure were moral villains who used people as medical samples rather than as patients and fellows in the image of God the same way we are? They are doctors, after all, and they must know what is best. This is why I think the first objection I listed is given, and why people cling to it. We respect doctors. When we think of science making life better, most of us don't think of GE engineers or NASA scientists: we think of our family physicians, and our specialists, and nurses and support staff they have who treat us with care and respect even when we have, for the last 5 years, needed to lose 10 lbs to stay healthy and we have failed. They stick with us, and we trust them to give us medicine for ourselves and our children. So to say in defense of Doctors, "we need to take the videos with a grain of salt because they are edited," sounds to the one saying it and the one who hears it like a defense of family medicine and general practice. This is America, and Doctors in America are not in it for the money. Certainly Doctors who are in it for women's reproductive health cannot be in it for the money -- they are in it for the sake of making sure the next generation has wives and mothers who are happy, healthy, and not oppressed by children they did not plan for. Yet somehow the reason for all of these arguments is frankly that they must not be "defunded." Think about that for a second, because the point of the argument gets really clear here. The argument is that somehow, if after reviewing these videos, we find that what was done was illegal (or ought to be), and it is full of a moral offense which is unspeakable, and this was not amplified by clever editing, what we should not do is prevent women from getting mammograms and pap smears. Let me say this plainly: I'm not against those because I have a wife and a daughter and I'm not an anti-science idiot. I didn't see any mammograms or pap smears in those videos, and will stipulate they are for the best. After the long list of concessions one can make (as I have, above) to the theoretical soundness of those other objections, to find ourselves here reduced to insulting misdirections is ... well, I'll say it since that's the reason I started this open letter: it's dishonest to change the subject. The argument from the side which is morally vexed over these videos is this: "If Planned Parenthood conducts abortions and then sells the parts of the babies destroyed for money, our government should not subsidize @PPFA." And because other organizations can and do all the other things @PPFA says its does without making abortions and selling baby parts, we think the funding should go elsewhere. We are not against other diagnostic procedures; we are not against science or medicine or women. We are rather offended that someone calls the way they extract a baby from the womb for the sake of reclaiming its parts for sale a "less crunchy technique." We are in favor, as it turns out, of an honest discussion about what is happening at Planned Parenthood and at the companies and schools which are buying things from Planned Parenthood. We may ask whether or not the U.S. Department of Health & Human Services publishes the Nuremberg Code for an ethical reason, or if it is merely part of the history of medicine. And in an honest discussion, both sides need to be able to say in good faith, "there are things we agree on, and there are limits to what our side understands. If you will also admit these things, let's find out whether we can come to a consensus about how to proceed." I suspect we disagree on a lot less than either side would reflexively admit if we start with the premise that we ourselves are going to behave honestly about the facts, and you should, too. With that, I am going to duck back into obscurity and see if there are any takers for an honest discussion about whether or not the product of an abortion -- which, if we believe those who are doing them, are merely tissue, never wanted, always dangerous, and rarely viable -- turns out to be the parts of an unborn baby, and if those parts should ever have a cash value no matter how they were obtained. I think that discussion will be far more profitable than accusing people like me of wanting to enslave and oppress women on the same day he is taking his wife to her annual exams. Think about it, and please get back to me. I'm interested in what comes next from honest people, and I still believe that America is full of honest people. The man could have been a Pyro! Too often, we've seen men who begin more or less Biblically orthodox, who then drift further and further from the safe haven of God's Word. William Gurnall suggests one reason why. Likeness is the ground of love. A carnal heart cannot like truth, because it is not like to truth. Such a one may love truth, as he did Alexander, Regem non Alexandrum; ‘the king, not the person that was king:’ truth in its honour and dignity, when it can prefer him, but not naked truth itself. How is it possible an earthly soul should love truth that is heavenly? An unholy heart, truth that is pure? O it is sad indeed, when men’s tenets and principles in their understandings do clash, and fight with the principles of their hearts and affections! When men have orthodox judgment, and heterodox hearts, there must needs be little love to truth, because the judgment and will are so unequally yoked; truth in the conscience reproving and threatening lust in the heart, and that again controlling truth in the conscience. Thus, like a scolding couple, they may a while dwell together; but taking no content in one another, the wretch is easily persuaded to give truth a bill of divorce at last, and send her away, as Ahasuerus did Vashti, that he may espouse other principles, which will suit better with his corrupt heart, and not cross him in the way he is in. This, this I am persuaded hath parted many and truth in these licentious days. 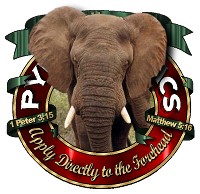 They could not sin peaceably while they kept their judgments sound; truth ever and anon would be chiding them; and therefore, to match their judgments with their hearts, they have taken up principles suitable to their lusts. But, soul, if truth had such a power upon thee, to transform thee by the renewing of thy mind into its own likeness, that as the scion turns the stock into its own nature, so truth hath assimilated thee, and made thee bear fruit like itself, thou art the person that will never part with truth; before thou canst do this, thou must part with that new nature, which by it the Spirit of God hath begot in thee. There is now such a near union betwixt thee and truth, or rather thee and Christ, as can never be broke. We see what a mighty power there goes along with God’s ordinance of marriage, that two persons, who possibly a month before never knew one another, yet their affections once knit by love, and their persons made one by marriage, they can now leave friends and parents for to enjoy each other; such a mighty power, and much greater, goes along with this mystical marriage between the soul and Christ, the soul and truth, that the same person, who, before conversion, would not have ventured the loss of a penny for Christ, or his truth, yet now, knit to Christ and his truth by a secret work of the Spirit new forming him into the likeness thereof, he can bid adieu to the world, life, and all, for these. The PyroManiacs devote some space each weekend to highlights from the lifetime of works from the Prince of Preachers, Charles Haddon Spurgeon. The following excerpt is from The Metropolitan Tabernacle Pulpit, volume 12, sermon number 689, "Temptations on the pinnacle." "Holy Scripture is full of narratives of temptations; expect, therefore, Christian, that your life will be as abundantly garnished with them as a rose with thorns." Brethren, it is a precious doctrine that the saints are safe, but it is a damnable inference from it, that therefore they may live as they list. It is a glorious truth that God will keep his people, but it is an abominable falsehood that sin will do them no harm. Remember that God gives us liberty, not licence, and while he gives us protection he will not allow us presumption. And though for the moment I knew not what text to quote to answer him, yet my soul revolted from the man ever afterwards, for I felt that no child of God would ever be so wicked as to take poison in the faith that his Father would give him the antidote, or thrust himself into the fire, in the hope that he should not be burned. If God sends me trouble he will yield me deliverance from it, but if I make trouble myself I must bear it. If Providence permits the devil to set me upon a pinnacle, even then God will help me, but if I throw myself down and go in the very teeth of Providence, then woe unto me, for I give proof by my presumption that the grace of God is not in me at all.